Note: This song has never been released but it was possible to listen to it on Taiwan Tourism Bureau’s official site. Note: A MV has been produced for this song, but this single has never been released officially. (it was the Year of the Tiger). Note: This song was available for download for free on a special site along with its MV. 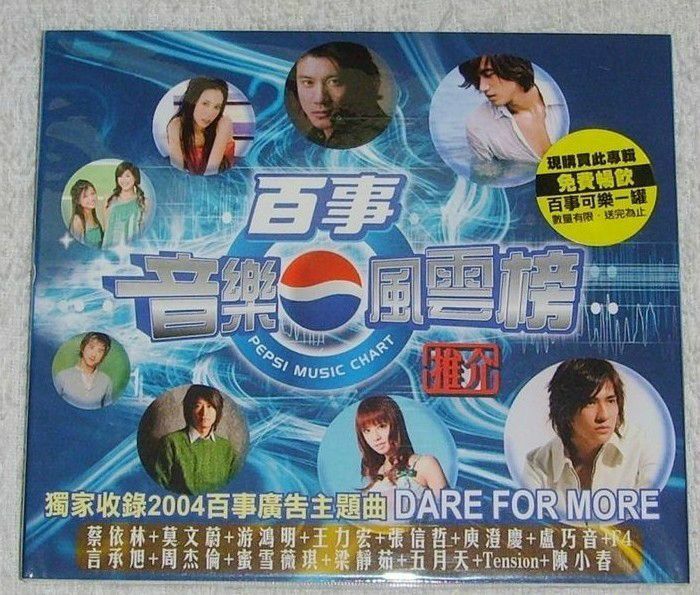 Note: a Chinese version of this song called 渴望就一块/Ke Wang Jiu Yi Kuai/Let’s Desire Together with lyrics by Vincent Fang has been used in August 2014 by Pepsi China for a promotional campaign. A MV has been produced, but this single has never been released officially.